Import automobiles can be tricky to find parts for, and BMW 530i parts are no exception. But, with greater opportunity comes greater success, and nobody works with more auto parts dealers than UNeedAPart.com! In fact, we have over 7,000 parts suppliers in our network, so finding the perfect BMW 530i parts is no problem. Whether you do the repairs yourself or you run an auto repair business, UNeedAPart.com can locate exactly the part you need to finish the job right. Why wait for weeks at a time for an automobile dealer to try and find the part? With UNeedAPart.com, you simply choose the BMW 530i accessories and parts you need and you are instantly connected with suppliers who currently have them in stock. It's as simple as that. 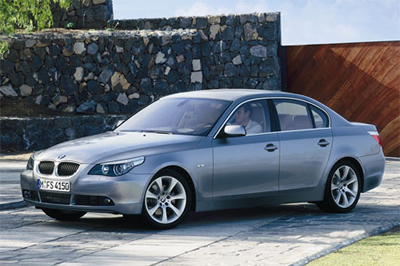 UNeedAPart.com Locates the BMW 530i Parts You Need Fast! Home-grown mechanics, professional auto technicians and auto body repairmen alike enjoy the speed at which UNeedAPart.com locates their parts. It doesn't matter if you need BMW 530i accessories or BMW 530i performance parts to help sport-up your vehicle, UNeedAPart.com can find a supplier for you. We can even locate the smaller, more specialized BMW 530i parts. If you've tried other parts dealers and were left with a lengthy wait and a costly bill, then give UNeedAPart.com a try. With our huge network of parts suppliers, you'll find the part you need and have it in your hands before you know it! Finding the right BMW 530i parts is easy! To get started, simply use the Parts Request boxes at the top and/or side of the page. You will instantly be matched with auto parts dealers that meet your search criteria. UNeedAPart.com helps you find the new or used auto body parts you need in no time!